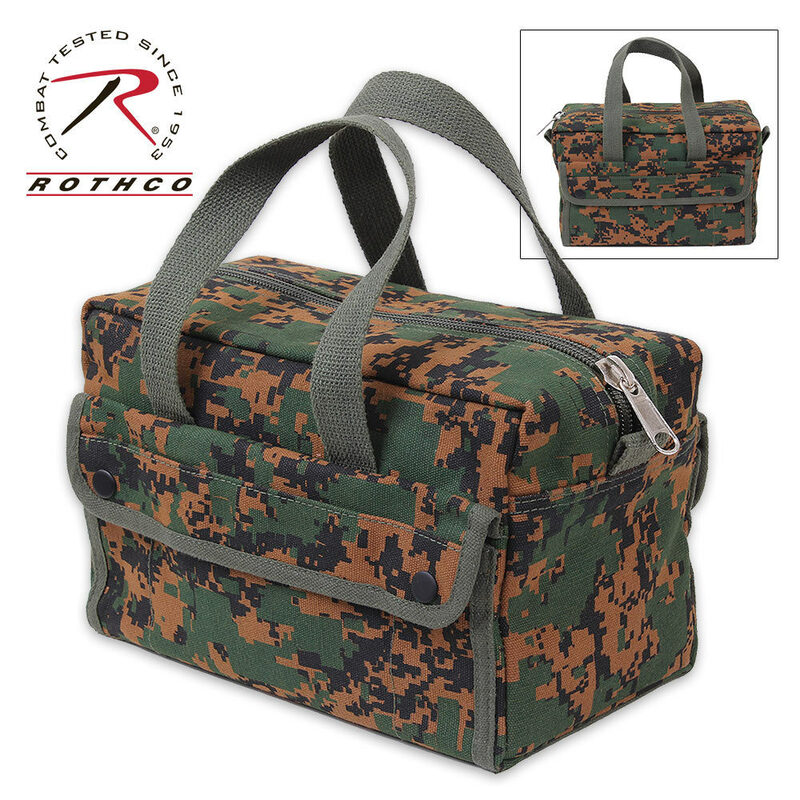 Rothco Mechanics Tool Bag | BUDK.com - Knives & Swords At The Lowest Prices! Carry everything you need in this Mechanics Tool Bag! Constructed of heavyweight cotton canvas, this bag has a large compartment with 8 tool organizer pockets inside and a nylon zipper. The outside of the bag features two snap pockets. Available in Desert Digital Camo and Woodland Digital Camo. Measures 11" x 7" x 6" overall.